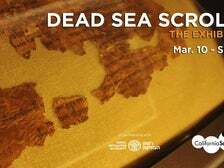 Opening March 10, 2015, Dead Sea Scrolls: The Exhibition explores the science and significance of the Dead Sea Scrolls - manuscripts written and hidden in caves 2,000 years ago and not discovered until 1947. 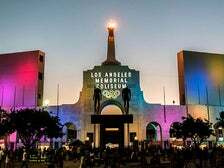 Located just south of Downtown Los Angeles, Exposition Park is home to a world-class collection of museums, sports facilities and recreational areas. Exposition Park also offers diverse cultural, entertainment and educational activities. The 160-acre site was founded as Agricultural Park in 1872 and subsequently renamed Exposition Park in 1910. The park has since become one of L.A.’s premier cultural and special event destinations. With construction of the building nearing completion, The Broad is offering the public an unprecedented glimpse into the unfinished museum on Sunday, Feb. 15. In a joint effort to showcase the arts and culture to the diverse and myriad communities in Southern California, SoCal Museums presents the annual Museums Free-For-All on Saturday and Sunday, Feb. 2-3. Dozens of museums—presenting art, cultural heritage, natural history, and science—will open their doors and invite visitors to attend their museums free of charge. This offer is for general museum admission at participating museums only and does not apply to specially ticketed exhibitions. Regular parking fees apply. Consult individual museum websites for hours, directions, and other visitor information. 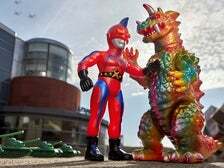 Read on for highlights of Museums Free-For-All 2019. 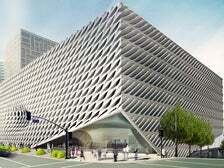 From the long-awaited opening of The Broad to The Huntington’s new Education and Visitor Center, here’s a look at the year ahead for L.A.’s world-class collection of museums. Los Angeles is home to an incomparable collection of museums. Visitors and locals alike can spend hours exploring these world-class cultural attractions and view everything from fine art masterpieces to the Space Shuttle. Best of all, museum stores offer a wide range of items so that visitors can take home a memory of their experience. 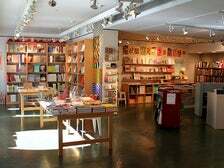 Whether you’re looking for a simple coffee mug or splurging for a limited edition street banner, read on for some of the best museum stores in L.A. 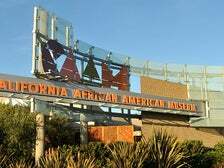 The California African American Museum (CAAM), located on the eastern end of Exposition Park in Downtown L.A., is a connecting agent - from historical context to contemporary art and healthy community dialogue to shape a positive future. 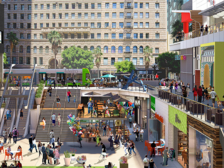 The cultural landscape of Los Angeles has been deeply influenced by African American artists and philanthropists and it continues to blossom because of them. 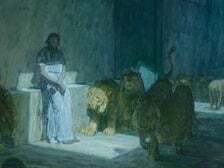 In the visual arts scene, contributions by African American artists are plentiful and are constantly on view at many of L.A.’s world-famous museums. Read on for a guide to selected masterpieces in Los Angeles museums. 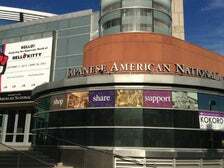 The Japanese American National Museum (JANM) presents “Hello! Exploring the Supercute World of Hello Kitty,” on view from Oct. 11, 2014 - April 26, 2015. “Hello!” is the first Hello Kitty museum retrospective of its kind in the U.S.